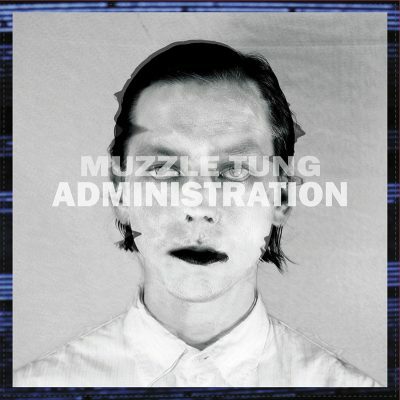 Administration is the debut record from local group Muzzle Tung, and as far as first impressions go, this is a bold one. Not only does the band cover many different styles of pop music from many different eras, but they also take a uniquely humorous approach to songwriting and performance. Things often sound out of place, with elements of music clashing with one another to form an unpredictable yet cohesive whole. Muzzle Tung employ pop-music structuring, and their dry sarcasm and refusal to conform to any one style or convention adds a delightful strangeness to the music. “Ghoulie” contains a groove that recalls the Ghostbusters theme song, but the deadpan vocal delivery makes the track feel like a lonely dance party rather than a fist-pumping call-to-arms. The closer, “Love Me,” has the feel of a lost Brian Wilson demo, minus the romantic idealism. Instead, the track is wittily depressing, discussing heartbreak and unreturned feelings of love. The music helps strengthen the simultaneously cute and downtrodden song, especially as Michael Biggs’ noisy synthesizers interrupt the cheery music. “Elodea,” one of the finest cuts here, shuffles along a picked guitar lick punctuated by low, droning vocals and lazy horn blasts. On top of finely portraying the band’s slacker attitude, this track contains some of the catchiest lyrics (“Where ya been, space dream queen?”). Another standout, and easily the silliest track on the whole record, is “Pony.” The song is a perfect piece of vapor-pop, full of off-key sax solos and autotuned vocals. The subject matter sticks out on the first listen, telling the listener that under no circumstances are they going to be allowed to copulate with the singer’s horse. Either that, or the track is the direct antithesis to Ginuwine’s hit of the same name.